Leslie, S. et al. Nature http://dx.doi.org/10.1038/nature14230 (18 March 2015). 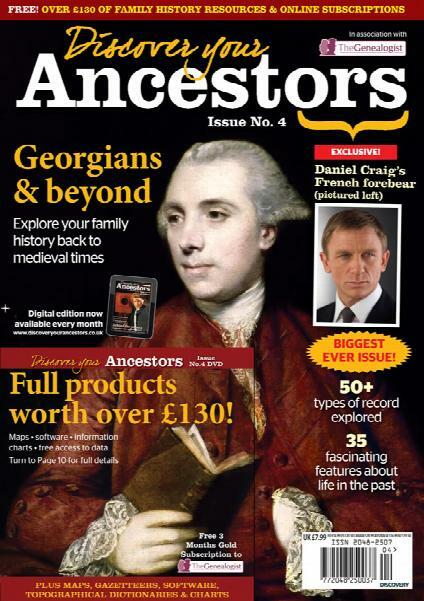 Available from S&N Genealogy Supplies. The BBC 2 TV programme: Nelson in His Own Words is on our screens today, or can be seen on the iPlayer for 30 days. Horatio Nelson was Britain's greatest naval hero and this programme shows us how he was also a prolific letter writer. The correspondence reveals that Nelson was a very different and more complex man than the hero that Britain created after his death. Using Nelson's letters this drama documentary exposes Nelson's skilful and manipulative use of PR to advance his career, and shows how he was careful in his praise of his rivals - in case they threatened his own prospects. And the letters reveal how his passionate love affair with Lady Emma Hamilton changed his life forever. The programme stars the highly regarded RSC actor Jonathan Slinger as Nelson. In a twist, TheGenealogist have a fascinating article on their website that reveals more of Nelsons words but this time as featured in his last will and testament that can be found using their resources. Of particular interest is the codicil that Nelson wrote just before the Battle of Trafalgar "in sight of the combined fleets of France and Spain" that asked the King and Government to provide for his mistress, Lady Emma Hamilton. With the great victory that Nelson delivered, but losing his life in the process, the authorities heaped money and titles on his family while ignoring his very last wishes in the codicil he had written on the day of his death!